With a diverse and ominous past, the circa 1896 building was repurposed in September 2015 when Bocci magically lit up its many rooms, corridors, and stairwells with their array of lighting products. 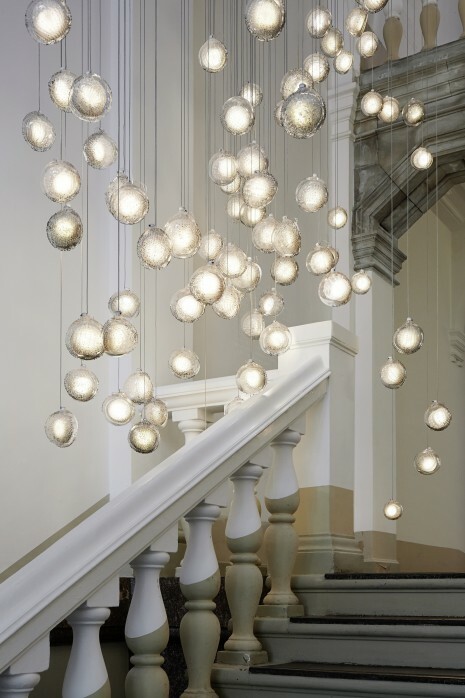 Installed in clusters and at different heights, the lighting sweeps from one room to the next. Seeing this showroom in person is a stimulating experience; observing how each piece interacts with the interior, how natural light reflects off surfaces and the shadows they create. 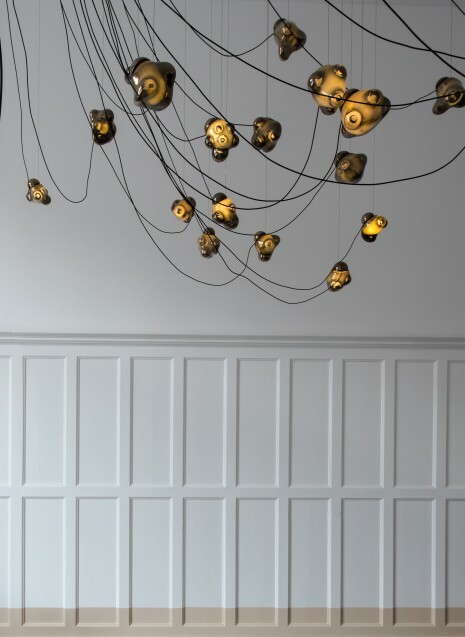 Everything on display is worthy of a detailed explanation to our readers but we would like to point out the small details that make this showroom a great backdrop for the hand-crafted lighting collection. Let us start with the building. Designed by Architects Adolf Bürckner and Eduard Fürstenau, the facade is in the style of Augsburg Baroque with its mix of peaks and swooping curves. A prominent entrance sets the tone to what lies beyond its closed doors. The original flooring, columns and plasterwork remain, giving visitors a glimpse into the craftsmanship of the period. Throughout the interior, a horizontal painted base wraps around each wall, over doors, stair spindles, radiators and wood paneling giving the space a continuous flow. At some points, the line is broken exposing the original paint of the doors and baseboards. The change is subtle but its what makes each room slightly unique. 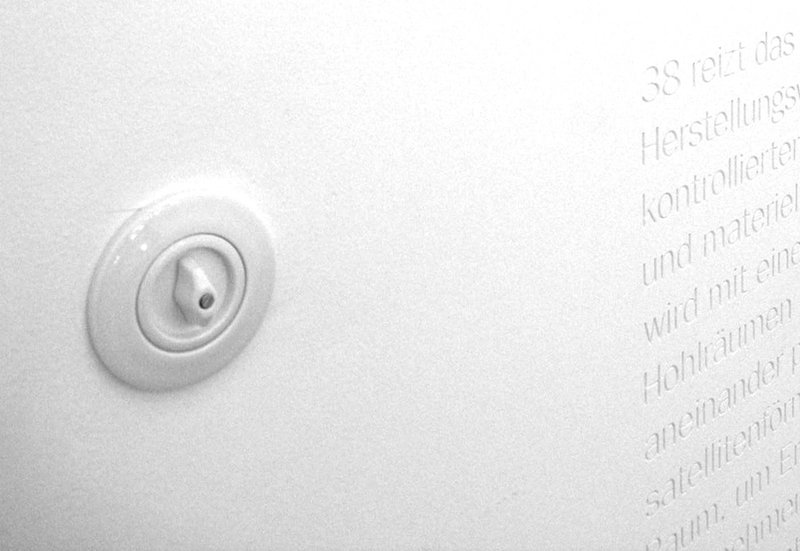 Etched into the wall is a description of each product. This reads as secondary information allowing the lighting to be the main focus. This technique is discrete and we like the effect it achieves. Originating from the Bauhaus era, rooms are fitted with the Berker Series 1930 porcelain rotary switches. They add another refined layer to the interior while adding a tangible piece of design history. Located in the main hallway, one could easily walk by this installation without truly appreciating what has been created. Titled '22', Bocci has redesigned something that has been standard for so many years. '22' is an outlet that once installed, is flush with the wall exposing just a circle. 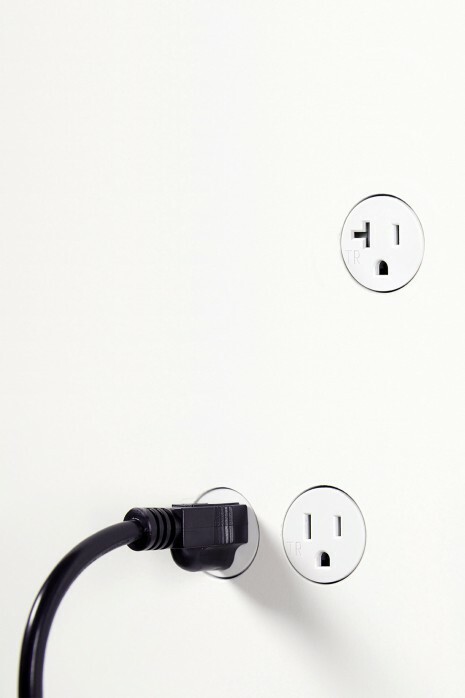 This outlet design incorporates itself into the overall room design. Gone are those nasty cover plates! Above: Video of creative director Omer Arbel describing his vision for '22'. Established in 2005, Bocci continues to build their line of design classics with innovative new material. 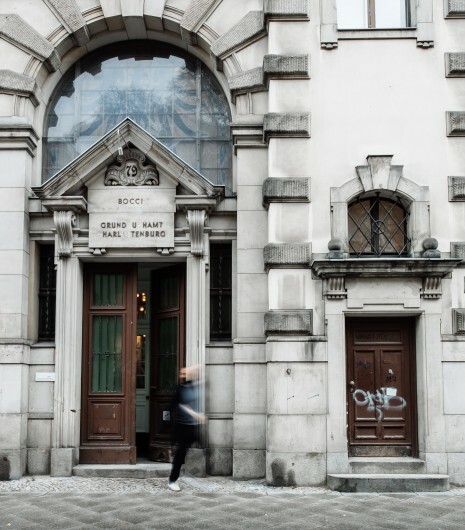 With plans to set up a Berlin manufacturing house hosting workshops in porcelain and glass, the studio will turn into a buzzing hub of creativity. We highly recommend a visit to this showroom. If you would like to read more about the buildings history, click here. Website for Bocci Berlin, click here. Website for Bocci Vancouver, click here.